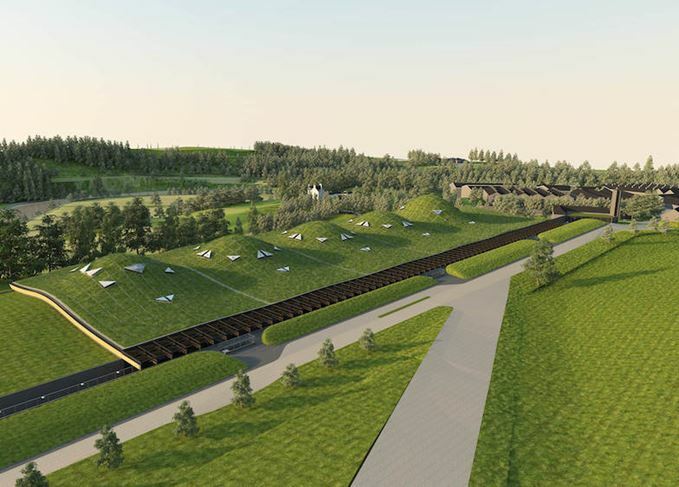 Macallan’s £100m-plus new distillery has begun its commissioning process and is undergoing ‘rigorous’ tests before taking over single malt production from the existing plant. The first mash was produced at the new facility last Thursday (9 November), a spokesperson for Macallan confirmed to Scotchwhisky.com­ – three years after ground was broken on the project. ‘We are now entering a rigorous period of testing before switching from existing to new distillery,’ the spokesperson added. There is as yet no confirmed timescale for the shift in production. The new distillery, at Easter Elchies, near Craigellachie, had been scheduled to open to the public during the summer, but will now open in summer 2018. The project’s budget is reported to have leapt from £100m to £120m. Its capacity has not been confirmed, with some reports talking of an immediate 15% increase in production over the old distillery, but with the potential to reach 15m litres of pure alcohol (lpa) a year, compared to the old plant’s 9m lpa capacity. The plans for the new distillery and visitor centre were originally announced in 2013, and building work began in November 2014. The new facility’s distinctive subterranean outline, designed by architect Rogers Stirk Harbour + Partners and based loosely on a Scottish broch or roundhouse, led some to christen it a ‘Teletubby-style’ distillery. Once the new distillery is fully operational, the existing Macallan plant will cease production entirely and be mothballed. The ‘19th-century’ bottles have been withdrawn from display amid authenticity concerns.